Google may say their Google Ads platform is too hard for small businesses to use, and we tend to agree—unless you have the right help that is. We’ll get you seen with targeted search engine marketing campaigns that will attract your ideal customer. While using Google, you’ve probably seen the ads at the top of the search results. What you may not know is just how affordable and efficient these ads can be—when they’re done right. Pay-per-click (PPC) marketing through Google Ads lets you only pay for what you use. To have your ad appear in search results for a certain keyword, you must first win the bid for it in the ad auction. If successful, your bid is how much you pay every time someone clicks on your ads to visit your website or contact you. You can also set a maximum amount of clicks, so you can control exactly how much you spend. Our search engine marketing (SEM) gurus are standing by to get you the best results for your budget. What about the people who already know about your brand and may just need a little reminder about how great you are? Remarketing may be your answer. This type of ad focuses on people who have already visited your website or interacted with your brand. Think of it like sparking their memory. These ads have a higher conversion rate as the people seeing them have already learned about your brand. It’s just a matter of finding the right technique to seal the deal. Call tracking is a genius way of ensuring your Google Ads are converting leads into sales. By enabling this feature, you’ll be able to see how many calls come from each ad, either directly from them or after a click through to your website. You’ll also be able to track how many of these calls resulted in a sale. Not only that, but you’ll receive notifications if you’ve missed a call generated by your ad. Whenever you finish one of these calls, Google will ask for your feedback to ensure they’re targeting the right people to produce you more leads. You’ll know exactly how much money you’re making from every ad. Google knows a lot about you. While you’re searching for a new car, world news and events, business tips, clothes—basically anything—Google is storing your data. It may sound a little intrusive, but as a business owner you can use this data to make yourself more money. Google Ads lets you create display ads, which is marketing you can have shown on other websites, in apps and on social media. People who are searching for topics related to your products or services are shown these ads. When they see your ad, they think, “That’s handy!” And then they click on the advertising, sending them to your website. Simple! Well, not exactly—but it can be if you let us setup your display ads for you. All Google Ads packages include a full website analysis report and on-page content audit, monthly reports and Google My Business (GMB) management. Retaining clients costs at least 5x less than attracting new customers. Can you afford not to be using Google Ads? The most frequently asked questions about search engine marketing and Google Ads. Is Google advertising worth it? When your Google Ads are created correctly, yes, they’re definitely worth it. The Google Ads platform lets you put your ads where you want, with the information you choose, in front of the people you select when you desire. You can even put your ads in front of people who have already interacted with your brand (re-marketing), which tends to lead to a higher potential-customer to customer conversion rate. The main reason people use Google Ads is to get quick results. When you hit start on your campaign, it goes live. If it’s been created well, it’ll start bringing you leads pretty quickly too. You can stop your ads at any time and even bid on your own brand terms (or your competitor’s) to dominate search results. So, there are many benefits to be had. The magic of Pay-Per-Click (PPC) marketing is that you only pay when someone clicks on your ad. But how much is a click? In all honesty, it depends. The cost of an ad click depends on the price of the bid and the quality of the ad, as well as a few other factors. If a keyword you’re bidding on is highly competitive and in demand, it will cost more than a less desirable keyword. However, a more in demand keyword will most likely be one with a high search volume. A Google Ads specialist will help you lower the cost of your ads while achieving good results. Google Premier Partner has earned their status by meeting Google’s criteria, including meeting high ad spend, maintaining performance in campaigns and having additional certifications. The Google Premier Partner badge recognises us as a leading agency for creating and maintaining effective online campaigns for Aussie businesses. Through our partnership, we receive designated support for the Google Ads platform and have access to partner-only events run by Google. We can also run our own events partnering with Google. If you can think of a way you want to target a specific person to see your ads, Google Ads should be able to do it. You can put your ad in front of people of a certain gender, age or location, as well as by what device they’re using. 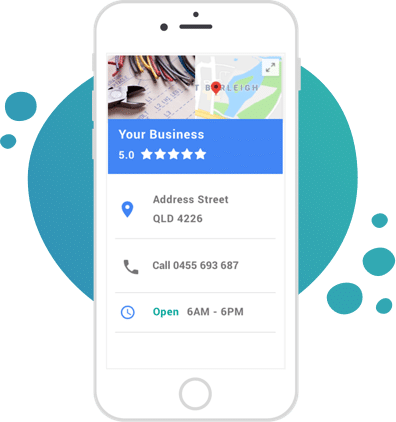 For example, you may want to target all genders between the ages of 22 and 46 on the Gold Coast who are using mobile and have been on your website in the last 30 days. Generally speaking, the more you know your audience, the better your results can be.